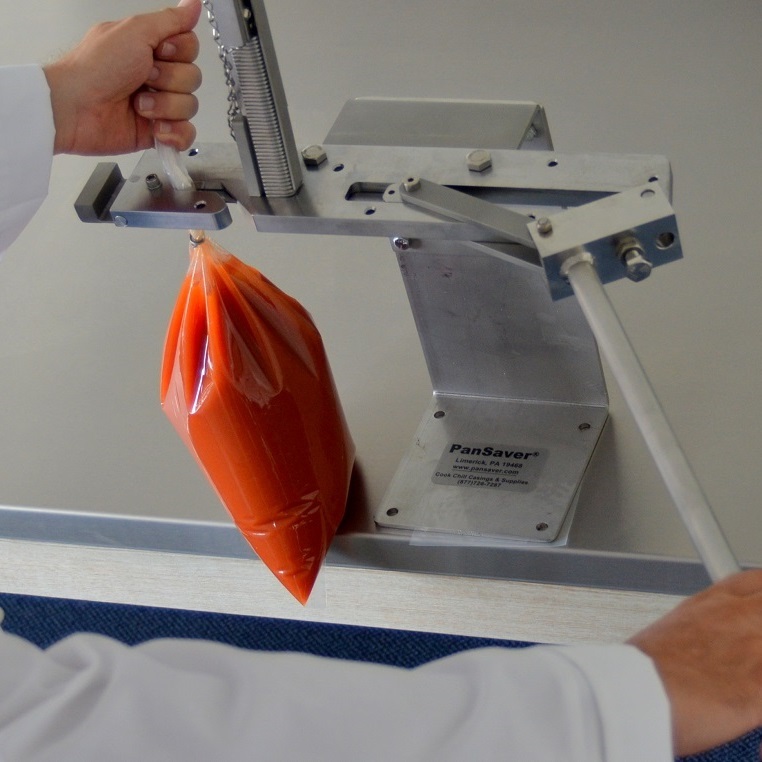 Find out more about commercial kitchen equipment our bags can be used with. What is the product you are filling? What is the structure of the packaging? How hot is the fill? How quick is the chill? 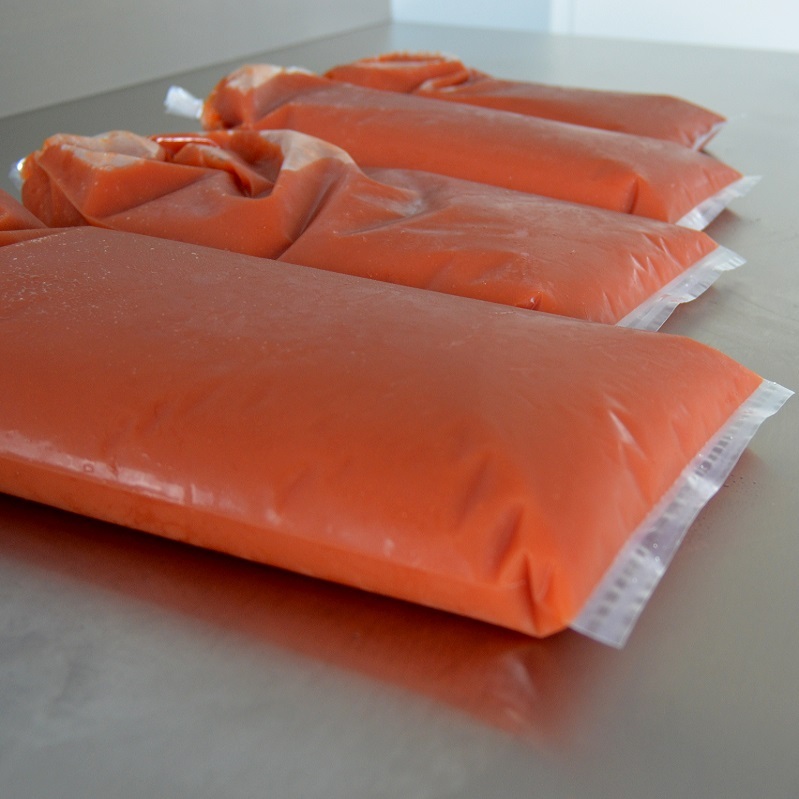 Our Cook Chill Bags are very strong, high gauge bags with extra barrier for a longer shelf life. The most vulnerable part of cook chill bags are the seals, we have a tubular bag, with a bottom double seal! The basic idea behind Cook Chill is that bacteria are brought through the Food Temperature Danger Zone (see below), asap to avoid growth. This will enable you to have a longer shelf life of your wet dishes. 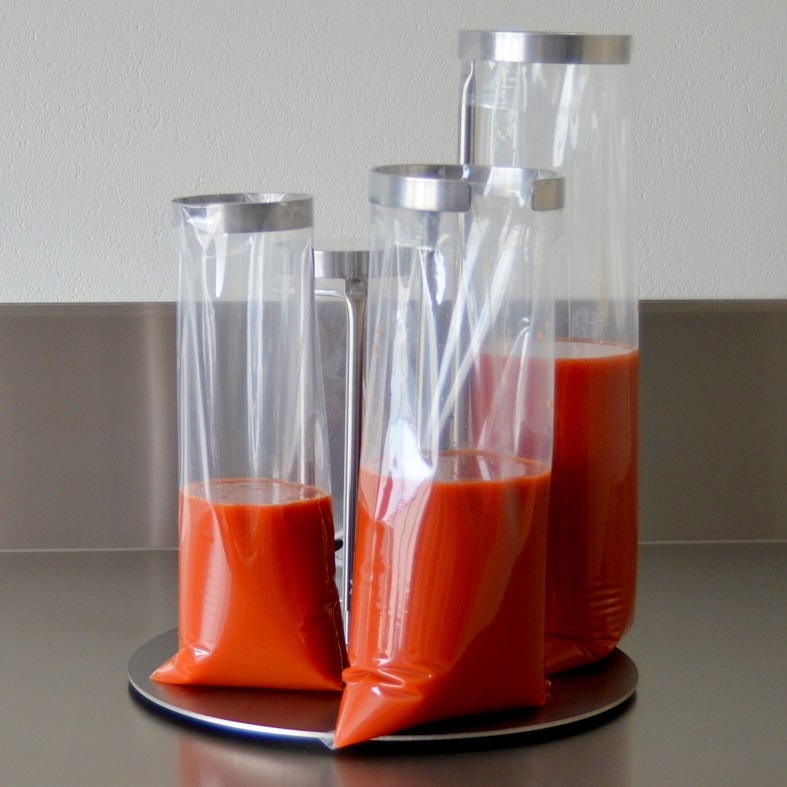 Instead of making your soups or sauces every day, you can now make them once a month in larger volumes. This means buying ingredients in larger quantities for lower prices, which means cleaning your kitchen only once etc. Economy of scale is what we are talking about! Pac Food has a range of add-ons to allow smaller operators to benefit from our “manual” cook chill system or for larger operators to have a backup in place. 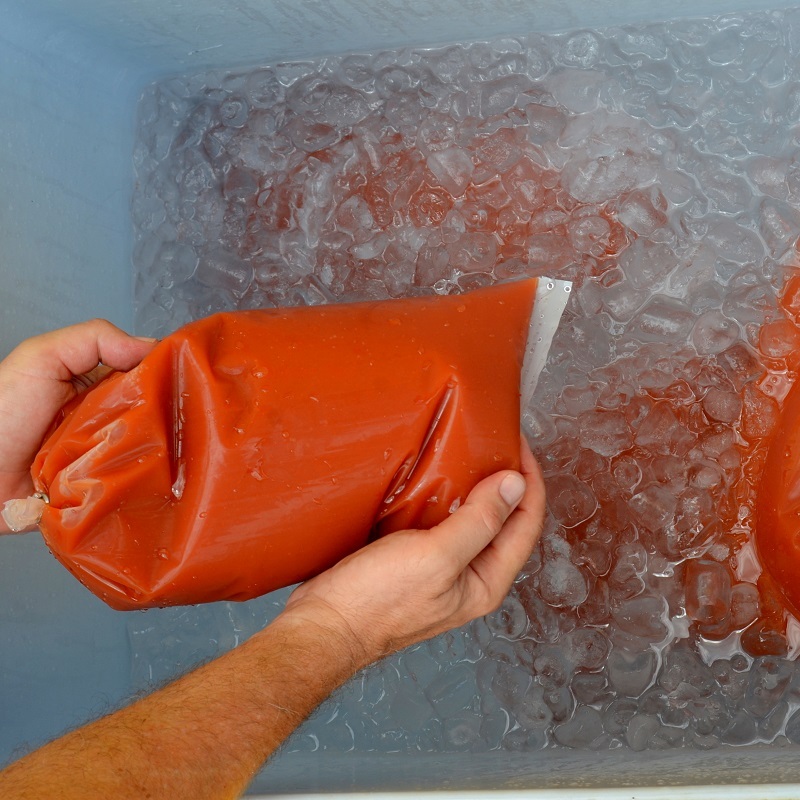 Our cook chill bags are also known for being excellent boil in bags.